Making these Pie Tarts takes a bit longer than just a plain scented wax tart, but it allows you to expand your creativity and craft a more visually appealing finished product. When thinking about this tutorial, we realized that a whipped wax cream dollop on the top of the tart would quickly come apart, so we’ve solved the problem for you. 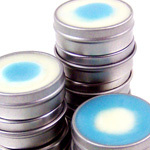 Using our technique you won’t have scent tarts that fall apart! Have fun with making scented tarts and show off not only your creativity but showcase your skills with wax and candle making. 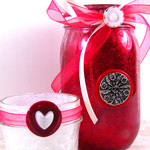 Create different “pies” using coordinating candle fragrance oil and color combinations for seasonal or holiday pies. Candle making made fun! Cover counter with wax paper, old newspapers or aluminum foil to make clean up easier. 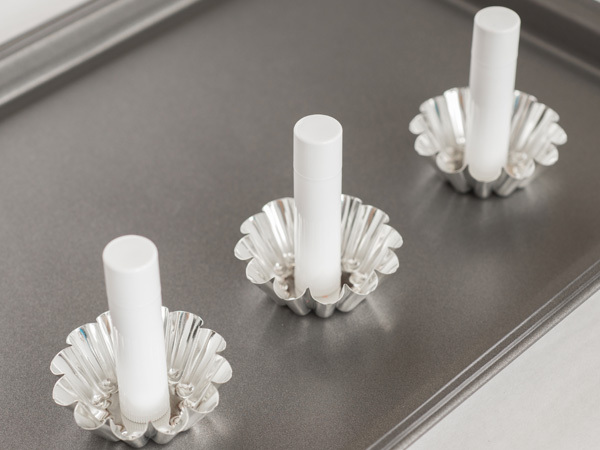 Prepare tart molds by placing them on a cookie sheet. This helps make it easier if they need to be moved. 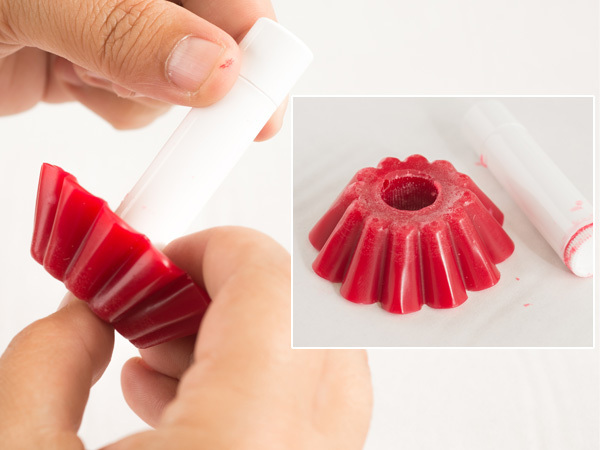 Place the lip balm tube in the center of the tart mold. This will create a hole in the center to help adhere the whipped wax to the finished tart. 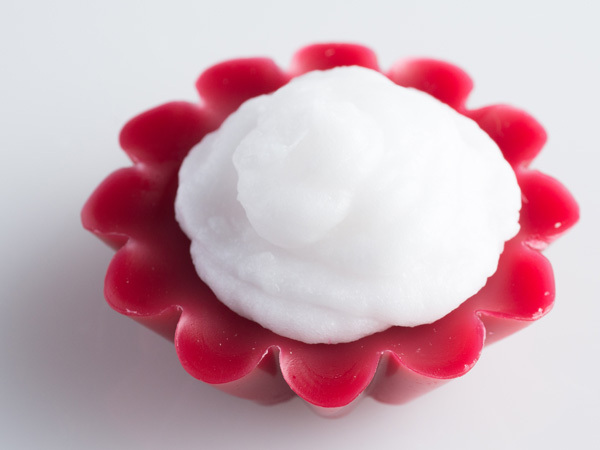 Melt the candle wax with a Presto Pot or double boiler. Make sure to follow the wax manufacturer’s melting and pouring guidelines for correct temperatures. 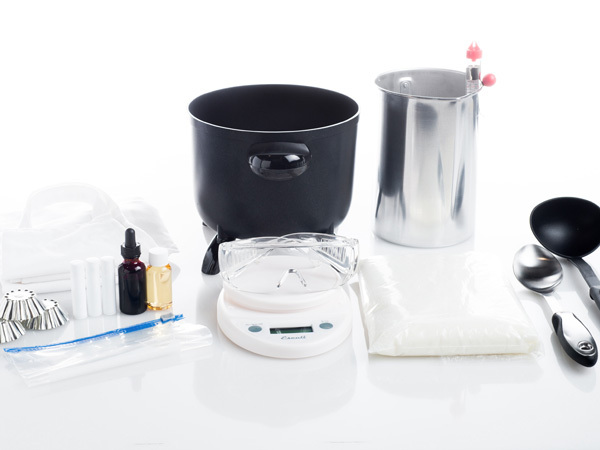 For this tutorial, KY 133 Versatile Paraffin Wax is being used so it will need to be heated to approx 180°-185°F per the manufacturer guidelines. 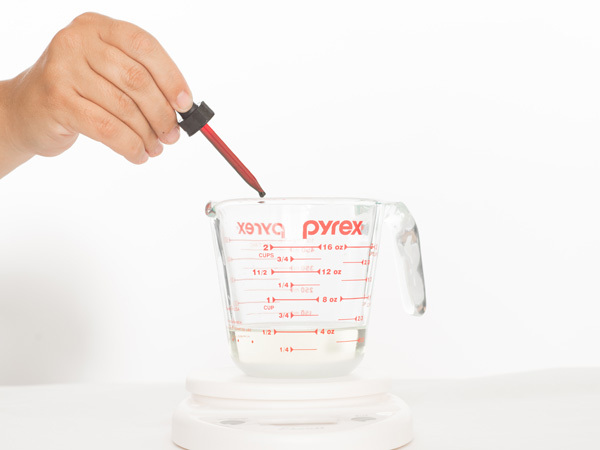 Use the thermometer to correctly monitor the temperature of the melting candle wax. Set the pour pot on the digital scale and tare. 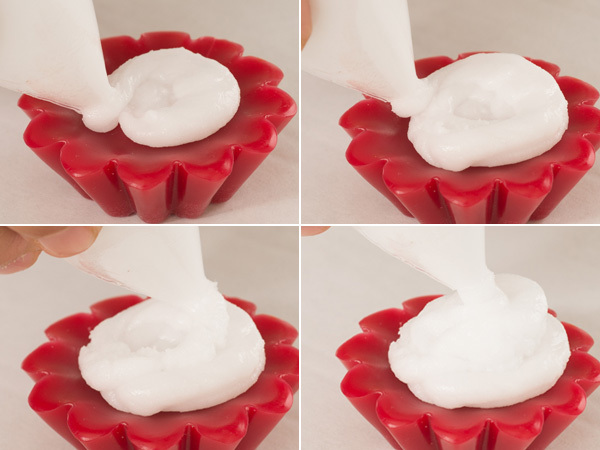 Transfer needed amount of wax to pour pot – in this tutorial (3) tart melts will be created, so 3 ounces of candle wax will be needed. 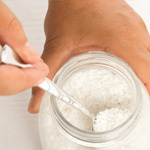 Transfer the 3 ounces of wax, and add .3 oz of Rustic Escentuals Candle Fragrance Oil. 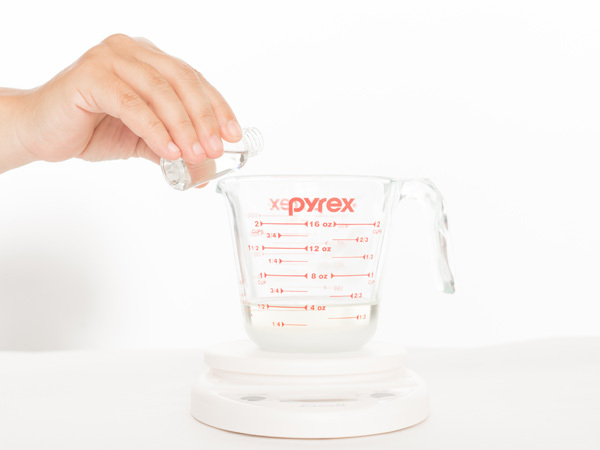 Stir well (approx 2 min) to ensure fragrance oil is completely blended with the melted wax. Then add drops of Rustic Escentuals Liquid Candle Dye until desired colored is achieved. Mix well. 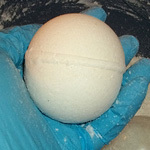 Allow wax to cool to approximately 175°F. 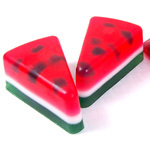 Once cool, pour into tart molds. Make sure to fill to the top without overfilling. Allow to cool completely. Tarts should fall out of the mold when completely set. 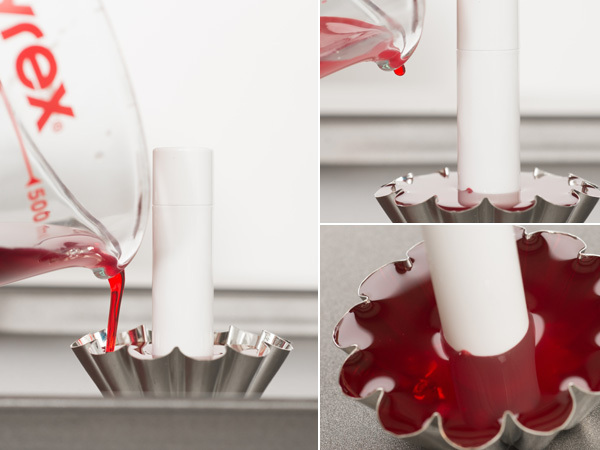 Once the tarts are out of the mold, gently push the lip balm tube out of the tart. 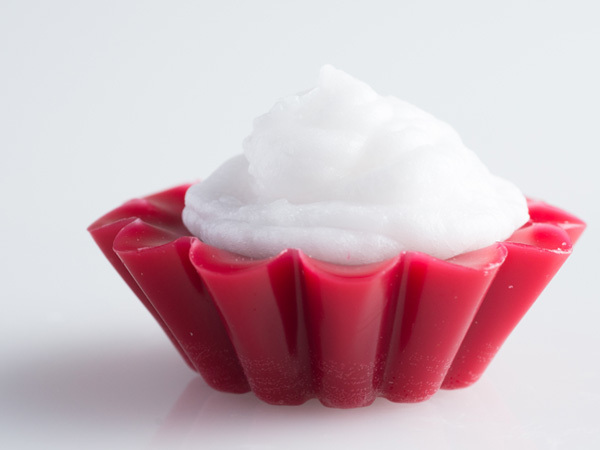 Per the Whipped Wax Tutorial, prepare the whipped wax. 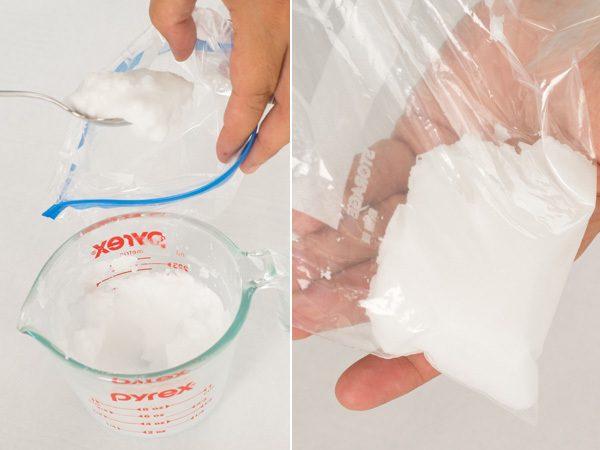 Transfer the wax to a small Ziploc bag. Push the wax to one corner and snip the corner. Fill the hole in the tart and continue piping the whipped wax to create a dollop on top of the tart. Let cool completely. Use your creativity to create all sorts of color and scent combinations for realistic pie creations! 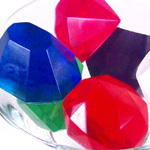 Cherry pie, blueberry pie, apple pie, pumpkin pie, rhubarb pie, and more! Candle making made easy.